Hybrid golf clubs have steadily gained in popularity since coming out on the market over 10 years ago. They are simply much easier to hit than traditional long irons, or fairway woods. It is not just the average hacker using hybrids now…in fact, over 65% of PGA Tour golfers have at least one hybrid club in their bag. Why use a Hybrid Golf Club? A hybrid golf club design is basically a combination of an iron and fairway wood. It gives you the best of both worlds — allowing you to swing the club like an iron, while giving you extra power and distance like a wood. 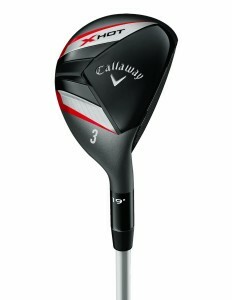 If you are struggling with long irons (1-4) or your fairway woods, then you should definitely consider buying a hybrid. You’ll be amazed how much easier they are to hit! Check out this loft conversion chart to see which clubs each hybrid can replace. Below is a list of a few of the best hybrid golf clubs on the market today. First off on the list is an exceptional hybrid golf club from Taylor Made. It is one of the most popular hybrid golf clubs on the market, and for good reason. It is extremely easy to hit, and uses a longer, super lightweight shaft so you can generate higher swing speeds (a.k.a more distance). The grip it uses B11 Winn Lite Grip 25 gram grip is also extra light, so you can generate even more swing speeds. An extra design point on this club is its matte-white (non-glare) crown clubhead, which combined with black club face makes aligning your ball even easier. All in all, this hybrid golf club easily ranks as one of the best hybrid golf clubs today. Last but not least, since the Burner 2.0 Hybrid is last year’s model, you can now pick it up for 45% OFF regular price ($99.99 $54.98 plus shipping fee). You won’t find a better deal than this! Note: The 18 degree is about equivalent to a 4 wood. Check out this useful loft conversion chart. 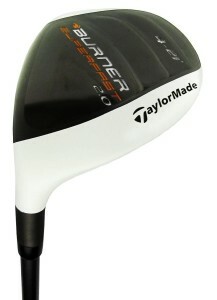 Buy the Taylor Made Burner Super Fast 2.0 Rescue Golf Hybrid Club here! Want to replace all your long irons or fairway woods? Then check out this starter hybrid set from Palm Springs Golf. This hybrid golf club set costs only $150 for FOUR hybrid clubs (15°, 18°, 21° and 24°) — that works out to less than $38 per club! It utilizes graphite shafts with stiff flex technology making them light and easy to swing. The set also includes head covers . These clubs are one of the best starter hybrid golf clubs set and are highly recommended for beginner-level players who are struggling with their long irons / fairway woods. 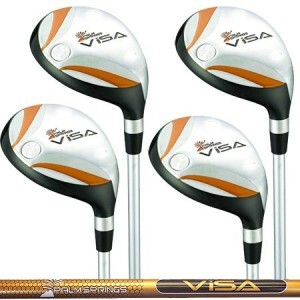 Buy the Palm Springs Golf Visa Hybrid Set here! Callaway is always a mainstay on lists of top golf clubs. A list of the best hybrid golf clubs is no exception! The X Hot Hybrids are some of the most well known hybrids on the market, and are available in 19, 22, 25, and 28 degrees loft. These clubs use Callaway’s patented Speed Frame Face and Modern Warbird sole design. You will be able to generate faster swing speeds (a.ka. greater distance), hit from any type of lie, and also shape your shots better. If you truly wish to increase the level of your game then take a look at the X Hot Hybrid golf club, inch by inch these is truly one of the best hybrid golf clubs in the market today. The X Hot Hybrids are the 2013 model, so you can now pick up your own for 69% off regular price ($225) — just $69.99 (on Amazon)! Another hotly praised hybrid golf club is the “Classic”. It is the best hybrid golf clubs developed by Cleveland Golf. The Classic is designed so that it can generate the maximum lift and distance from any lie — sand, rough, tee or fairway surfaces. It also utilizes a “glide rail sole” which greatly reduces the drag of your swing giving you the fastest swing possible. The club head’s center of gravity is positioned so that the ball with launch higher into the air immediately off impact. Another additional advantage of this hybrid is the fact that it comes available in a variety of shaft weights (regular, stiff, x-stiff,, senior, ladies), so you can pick the one most suitable for you. We could barely find any flaws with the Cleveland Classic Hybrid club both in design and performance. If you are looking to push your golf skills to the peak then by all means check out the brilliant Cleveland Golf Classic Hybrid Club. 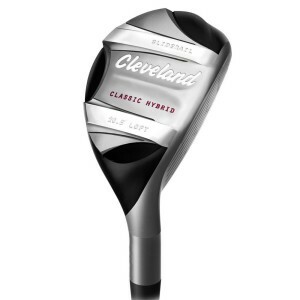 The Cleveland Golf Classic Hybrid Club is now available starting from just $99.99 $49.98 which is an awesome price for such a high grade hybrid club. The Cobra brand may be less popular on tour — their only well known sponsored player is Rickie Fowler — but stilll have a good reputation in the market for developing high quality golf clubs. Their Baffler T-Rail+ Hybrid Club may be strangely named, but it is easily one of the better hybrid clubs available. The sole of the club is weighted so you will get higher / longer ball flight off impact. The club face’s center of gravity is also lower to help you get even higher trajectory. 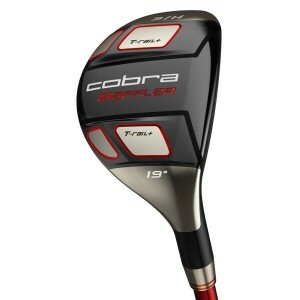 If you want a super solid all around hybrid, then look no further than the Cobra T-Rail+ Hybrid Club. It looks great, and is suitable for pros or amateurs looking to add one of the best hybrid golf clubs to their bag. Currently priced at only $78.99 (on Amazon)! More and more golfers are adding hybrids to their list of essential clubs. The fact that the popularity fo hybrid golf clubs have grown in leaps and bounds over the past few years should be reason enough for you to check them out — even more so if you are still struggling with those damn long irons! The best hybrid golf clubs can easily help you shave a few strokes off your score, so stop wasting time, and get a hybrid in your bag today! Picking the Best Lob Wedge What is the Best Mallet Putter? What are the Best Golf Club Brands? What are the Best Irons for Beginners? ‹ What is the Best Mallet Putter? 1 Pings/Trackbacks for "A Few of the Best Hybrid Golf Clubs …"